As we age, our skin loses the ability to preserve moisture, resulting in the visible loss of firmness, pliability, and plumpness. Luckily, Hyaluronic acid is a powerful humectant that attracts 1,000 times its weight in water into the surface of the skin. It also plays a key role in the skin’s extracellular matrix by packing it with moisture, making the skin more firm. Additionally, hyaluronic acid reduces post-treatment healing time and reduces the potential for scar tissue. For many of us, the way our skin looks in the morning is a clear indication of what kind of day we’re going to have. We get out of bed, head over to the mirror, and check ourselves out. What’s going on today? A clear, calm complexion? A bevy of breakouts? New fine lines and wrinkles? Or hey, look at that! Is that a new patch of dark spots? 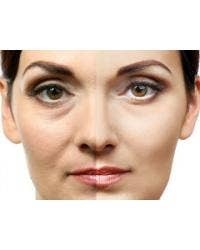 Let’s face it: No one wants to spend their hard-earned on anti-aging products and not get the best results they possibly can. We’re going to give you professional tips on everything from application techniques that are a little different from what your mom taught you to the one step you should never skip and even how the timing of the application on these products makes a huge difference in their efficacy. Before we discuss how to prevent skin from aging, we must first delve into what actually causes it to age.There are several things cause our skin to age - some are things we cannot do anything about; others we control over. Collagen is the most abundant and strongest protein in your body. It makes up about 75% of the weight of your skin and around a 30% of your total body protein mass.